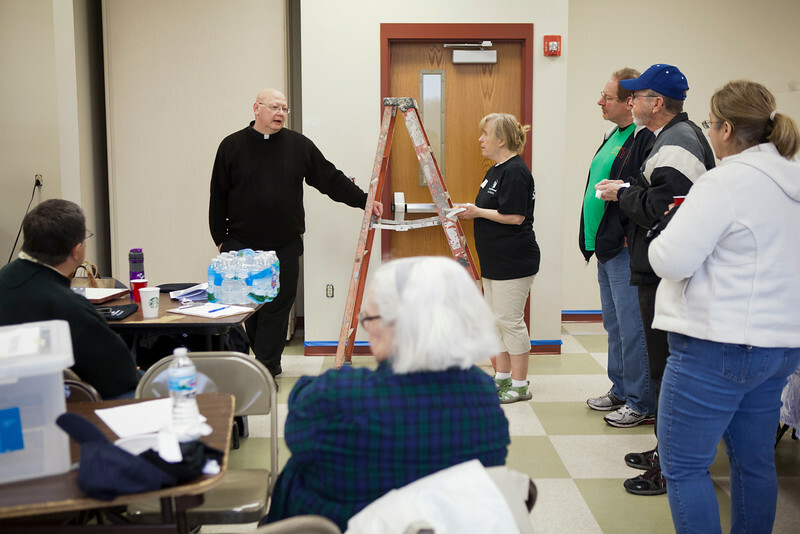 Day of Service volunteers gatehred at St. Anthony Parish to help Hearts & Hands of Indiana. 11 total volunteers helped. Some people painted a classroom, while others assembled equipment and built shelves.